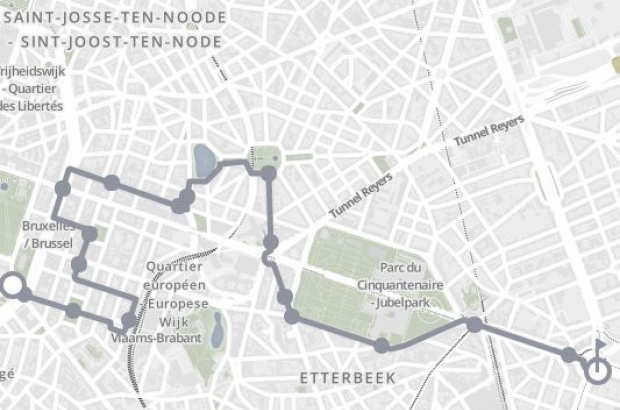 It might be one of the EU district's best-kept secrets - a little Stib bus route specially designed for Eurocrats who don't like walking. In just under half an hour, Line 22 winds its way past the front doors of most of the European Commission buildings, from Rue du Trône and Rue Montoyer to Rue Joseph II, the Berlaymont and Charlemagne. But its days are numbered - the victim of a major reorganisation of Brussels' 50 bus routes. About 30 other routes around the capital are being adjusted - but line 22 is the only one that will be axed entirely. It appears not enough people were using the route, which only runs every 25 minutes - and not at all on evenings or weekends. Most of the route can be covered by metro in a fraction of the time. Bus 27 will be rerouted to offer a better link between the EU district and the popular Woluwe suburbs. The changes to the Stib bus network will be made progressively between now and 2021, and aim to provide better links to outer-lying parts of the city including Neder-over-Heembeek and Haren, hospitals including the new Chirec complex at Delta, and shopping centres at Docks Bruxsel and Neo at Heysel. To avoid confusing tourists, the bus to Brussels airport will always be numbered 12. The 21 will instead serve Maes in Haren, behind Eurocontrol and the new Nato building. "It appears not enough people were using the route" - so, after all, Eurocrats do like walking and don't really need this "best-kept secret".